You’ve probably heard it at least a couple times in your life: a horrifying “thunk” against your window, and you know that a bird has been injured or killed. According to the American Bird Conservancy, as many as a billion bird are killed each year in this way – a sobering statistic when you think of the importance of birds in our ecosystem and conservation efforts. However, you don’t have to resign yourself to the dread of waiting for it to happen again. Here are some suggestions on how to stop birds from hitting windows. If you know why it’s happening, the solutions make a lot more sense. Go outdoors and look at your windows. If your windows are pretty normal, they reflect your yard back at you. A bird doesn’t understand that there isn’t a whole new yard in there, and by the time they realize their mistake, it’s too late to alter their flight pattern. In the spring season, when some birds get very territorial, they may also fly at the glass in order to attack the “other bird”. Additionally, songbirds and other nocturnal birds sometimes fly into windows at night, lured by the lights. One way to make windows safer for birds is to mark them with something so they don’t fully reflect the sky and trees. You can use something like tempera paint, which will last a long time and is not super expensive. Paint some stripes on the window, four inches apart, or a grid pattern. You’ll still be able to see out, but the birds will realize that it’s a solid surface. You could even get creative with it or let your kids or grandkids have some fun with shapes, letters and pictures. There are lots of decals and decorations that you can add to your windows to deter birds. The main thing to remember is that there must not be any large spaces left open, or this trick won’t work. In fact, if you have a lot of hummingbirds around your house, you should have some type of mark every two inches on your window. You can use sun catchers, tape, sticky notes, stickers or whatever you like. Fritted glass is an excellent bird deterrent which won’t impede your view of the outdoors. This type of glass has little patterns in it, breaking up the surface and even reducing energy costs. You can purchase windows made with fritted glass, or even do an easy DIY version of fritted glass with a product such as Feather Friendly. These small adhesive dots simply stick onto your windows and you can do it yourself or have a window professional install them. Mosquito screens can be very effective against birds, though they have to cover the whole outside surface of the window. Netting is another good option, which protects birds while preserving your ability to see outside and use your windows normally. Install your netting approximately three inches away from the glass. It should be stretched taut if possible, so the birds will bounce back unharmed. It’s best to use a fine-meshed netting, so that their little body parts don’t get tangled up and stuck in it. There are a few products on the market, such as Collidescape, which gives the outside of your windows a darkly opaque appearance, deterring birds from flying into them. While this one-way film does darken your light that comes in the house a bit, you can still see out – but this can help reduce your utility costs too, so it may not be such a bad idea. You can look at samples of these products to see what works best on your windows while saving the birds from harm. Shutters aren’t only a beautiful and classy investment into curb appeal: they’ll also reduce incidences of bird collisions. When you’re not actually in the room and looking out at the view, you can close the shutters and take away the reflective hazard. Another plus to shutters is the added component of energy savings. 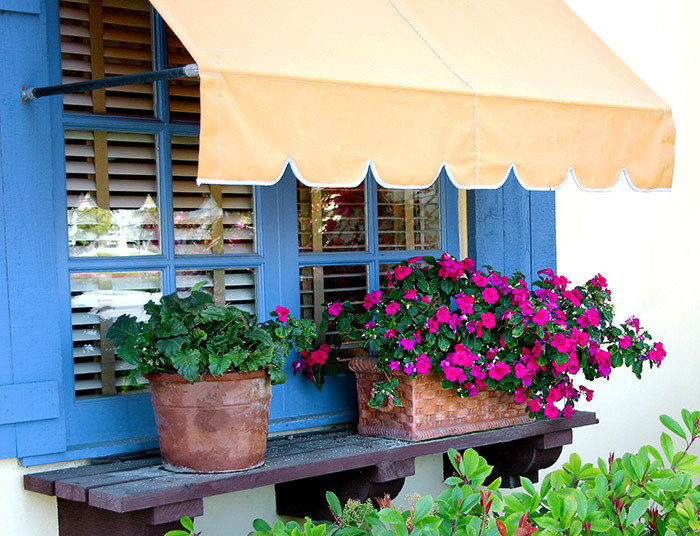 Shutters also offer a lot of privacy and security-related benefits for homeowners. There are plenty of other options besides sticking things on your windows: something as simple as carefully choosing your shades or blinds could also help reduce bird collisions. External sun awnings are available to cut down on sun reflection, and you can even get a remote control for these to make it more convenient to raise and lower them. Interior vertical blinds can also help: just let the slats live half-open. The main thing to remember is to reduce the reflection of the outdoors, so that the bird realizes it’s a solid surface. If you don’t want to stick anything on your windows and installing equipment isn’t an option, the balloon trick is a cheap and easy bird deterrent. You can purchase a mylar helium balloon from the grocery store and affix it near the window. As it rustles and spins in the breeze, the metallic flashes from its movement will keep birds from getting too close. 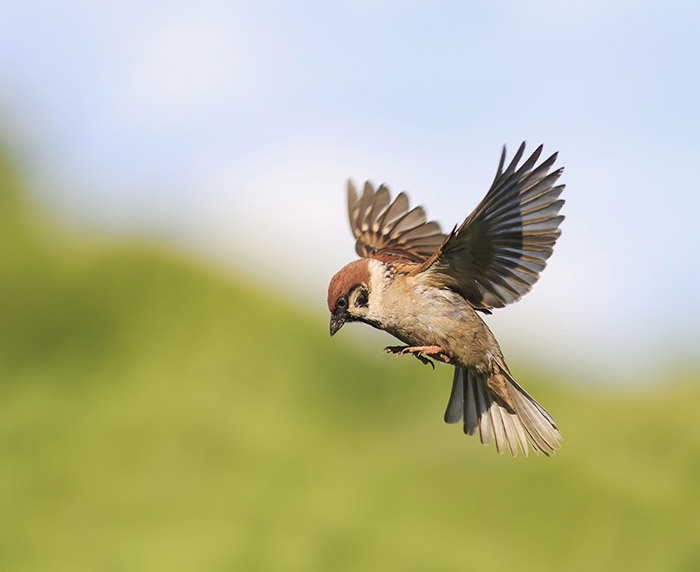 There are several myths and urban legends floating around which well-meaning homeowners try to implement to keep birds safe, but they don’t necessarily work. One of these is the idea of putting a sticker or decal of a hawk (or other such predator) on the window. These won’t do much to deter birds, and don’t cover a large enough surface. Another misguided bit of advice is to remove your bird feeders from around your home. You shouldn’t have to miss out on enjoying bird watching and giving them some food: rather, make your windows a safer area for them to be around. If despite your best efforts (or while waiting for a deterrent product to arrive) a bird collides with your window, here’s how to handle it. You should remove it to a safe place to recover, as a stunned bird is easy prey for a cat, snake, or other predator. Using a small towel, carefully pick up the bird and put it in a lidded, ventilated cardboard box. Place the box somewhere dark and quiet, and check on it every half hour. The bird may have simply been stunned and will recover: if this seems to be the case, take it outside and give it a chance to fly away. If it’s still breathing but doesn’t get up, try contacting a wildlife rehabilitation center. Never touch the bird with your bare hands. Bird deaths and injuries from window collisions are often very upsetting. They can cause emotional distress, damage conservation efforts, and even break the window. However, by trying out some of these suggestions, you can help your local wildlife population stay safe from harm, and keep enjoying the view out your windows each day. 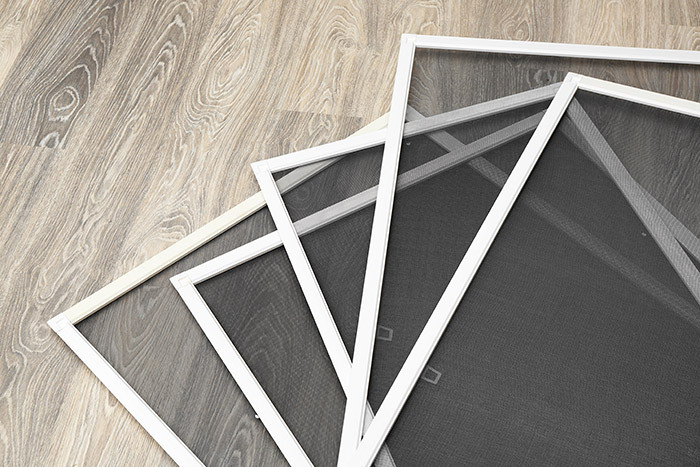 In the even that your window has become too damaged to just repair the glass, you can count on Feldco for the best window replacement in Chicago – get a free quote now.